Backed with a neuroscience coaching qualification and the learning of psychology in how our behaviours are formed, with my hypnotherapy training; I want to share with you how powerful your subconscious is at keeping us stuck and a feeling of groundhog day when it comes to breaking old habits. I have seen great patterns of behavioral change when I applied one simple, yet highly effective morning routine. This routine has helped me to reset my day from being average to great. But only when its applied. So consistency is key to this. Those first 10 minutes after waking are the most potent for setting the tone for your entire day. In fact the first conscious thought you have when you wake up, is in a state of hypnosis, a Theta state of mind. This is a very powerful time to set your intentions for the day. Without going into detail the conscious mind has limited capacity during the day, so our greatest thinking power is always in the morning and by afternoon we are more creative and less focused on tasks that take more brain power or brain energy. If it’s your phone that you are reaching for, then within 105 seconds, you’ve checked your inboxes, Instagram, Facebook, and everything else in the digital world, right? And before you are up, you might already be feeling stressed out. The brain is already engaged in the daily activity all at once – This can lead to OVERWHELM, ANXIETY and an UNFOCUSED start of the day. Again this state mind is also called hypnosis and is a very suggestible state to be in. Here are a few suggestions. You could try any or all of these to help reset your day. Your habits and your mindset…. Set your morning routine, have a ritual that is right for you. It might take a few minutes to think about this but make sure its different to what you have been doing if you want to see change. If you are feeling rushed in the morning try laying out your clothes, the night before for a feeling of time saving. Not having to think too much about what you will be wearing will take off pressure from yourself. It’s a massive time saver too, and brain power that you do not need to waste unnecessarily. I feel the same feeling with not using shampoo anymore. I don’t have the urgency of having to wash my hair. I will tell you all about this in my next vlog. It’s a massive stress reducer. Try to awake with intention. What do I mean by this? Set your mental compass for the day and start your “To Do” list or create a list of what you want to accomplish that day. You can already start this the night before, and just refresh the next day. This helps you to set your mental compass to what you want to achieve. When the GPS of the mind is set you are far more likely to achieve it. This works especially well if you are feeling overwhelmed and have a lot going on. Writing it all down is therapy in itself. Then prioritizing turns that mountain of stress into bite sized manageable daily chunks. Write in a “5 minute” morning journal. Yes I know we are all rubbish with this, but if we give something up i.e checking the phone we can replace it with this effective tool. Nice right! Each morning, instead of fishing for my phone, which I do put on airplane mode to save unnecessary radiation by my head at night – sorry I am a Detox Daily Diva after all. 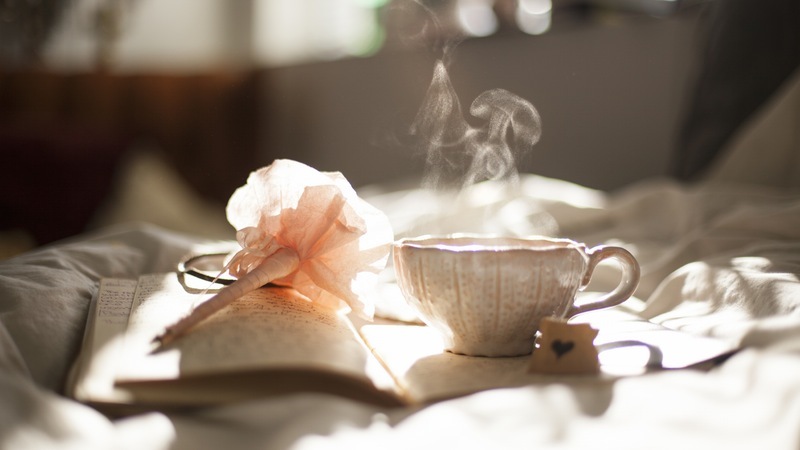 I allow myself to enjoy a moment of sitting up, fully waking, and reaching for my journal or “Intention List” or what ever you want to call it, choose a name that works for you – to do list, aims for the day, wish list, gratitude, journal, diary, intention list etc and pen. So here are some things you can write. What you are going to do that day…. This is a great way to set your mental compass. Declare what you want to do and your subconscious will deliver or at least make it easier for you to achieve. If you do not do this on the first day, take your time habits take a few weeks, 21 + days to form, so give yourself a chance. How you want to feel. So perhaps some affirmations. They work for some not for others, so give it a try and see. 3 things you are grateful for. This one is a biggie and think of that gratitude to the point of feeling it. 3 things that would make your day great. Make your day POP, make your day wow, make you feel good about yourself at the end if you achieved these 3 things. This is an awesome way to lift the mood. Open up some headspace – meditate. – If you have time, you can sit with a cup of tea, a candle or some calming music and listen to my Headspace or the Abraham Hicks app, or my morning routine recording, which teaches you daily how to break habits and empower your mind. Relish getting ready. Give yourself plenty of time. This especially works well when you train yourself to wake up an hour earlier. I have my best days ever – calm and relaxed and focused when I wake up at 5am. Trust me I had to train to do this. I am a night owl but feel so much better waking earlier. When the world is asleep there is no stress on you and you can get things done at a calm pace. When you are getting dressed, putting on makeup/aftershave, preparing your bag, etc., Power up a motivational YouTube video on your iPad. This can be some Wayne Dyer, Louise Hay affirmations… This is how you can squeeze in a little self-help. Oh and don’t forget to have a good day you need an early night. Bed by 10pm and asleep by 10.30 gives you a full nights sleep with 8 hours for max battery and brain charge. Make some time for this next activity – mull it over for a day or so if you like and continue to tweak it until it’s exactly right for you! It needs to be at least one page long. I’d like you to describe your Ideal ‘Average’ Day – the day you would be happy to live every day for the rest of your life. Get crystal clear on it… so clear that if you handed your description of your ideal average day to an artist, they’d be able to paint it for you. Below is a checklist of “questions” you might want to ask yourself, in order to fill in the details, for your day. Use the checklist and your imagination to be incredibly specific about what you’re seeing, hearing, feeling, wearing, eating, drinking, doing, tasting, smelling and more! Now, the more detail you put into this, the more your Reticular Activating System (the part of your brain that actively seeks out specific stimuli and information) will connect with it, and the more resources you’re going to unconsciously and consciously uncover…which means, you’ll spend less energy and frustration trying to determine which “path” is the best to take. Please remember, there is no right or wrong in this activity. There are no limitations, qualifications or recommendations…it’s YOUR ideal average day, and it can be whatever you want it to be. Also please write your story “as if now”… almost like it’s a diary entry of the day you’ve already had. I’m asking you to write it like this because we want your unconscious mind to assume that you’re already living your ideal average day. 1. What part is your family life playing in your Ideal Average Day (IAD)? 2. What part does recreation play in your IAD? 3. How does health and wellbeing feature in your IAD? 4. What’s going on relationship-wise, in your IAD? 5. Does your IAD include personal and/or professional development? And if so, how? 6. What are you saying to yourself in your IAD? 7. How are you making a difference in your IAD? What is the legacy you’re creating? 8. In your IAD, what resources do you have, that have helped you realise living life on your terms? And which resources have you let go of, that before now were slowing you down and getting in your way? 9. What kind of lifestyle are you experiencing during your IAD? i.e. Where are you living? What kind of car are you driving? Where are you going on holidays? 10. How are you contributing/giving back to the community in your IAD? 11. Close your eyes, and as you think about your IAD, what can you see? Is it in colour? If not, give it colour…lots of colour. Now, make sure you include in your story, what you can see. 12. As you see and imagine in colour, your ideal average day, what sounds can you hear? 13. When you think about your IAD, how are you feeling about yourself in that moment? How do you feel about your life? Your family? Your relationship? Your health & wellbeing? Your finances? 14. Are there any particular smells that jump out at you, as you imagine your IAD? And what do these smells represent and/or remind you of? One way to approach it is to pick out the questions that you connect with the most, and spend about 2 minutes brainstorming each question. And maybe, answer some questions one day, and the other questions the next. Then once you’ve got your answers, tweak them, so they roughly sit together, on one (or two) pages, as they would in a diary entry, and/or short story. If you like this coaching – Get to know more about Tania and think about joining the Detox Divas, and Detox Deus’s, yep that means Gods for you guys out there J. That’s if you have not already done so!